Fundoo Vacations is India’s one of the leading travel website, offering you the best prices on flights, hotels and holiday packages across India and the world. Fundoo Vacations makes planning and buying a holiday or a business trip easy and convenient. Fundoo Vacations current product offering consists of airline/rail tickets, hotel room reservation, vacation packages, escorted group tours and cruises. We offer a wide array of travel assistance services including car rentals. Remaining reliable, efficient and at the forefront of technology, Fundoo vacations commitment and customer-centricity allows it to better understand and provide for its customers’ diverse needs and wants, and deliver consistently. 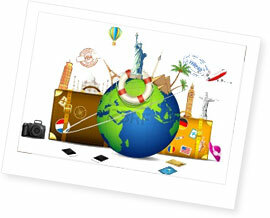 Our travel management team analyzes your travel requirements, provides you perfect travel solutions. Our main motive is to deliver you quality service and offer utmost convenience. While designing any of the tour programs we undertake utmost care to ensure that you get the best of every moment spent at every place you visit with us. Our experience and expertise has given us confidence to cater to all your travel related requirements at any given point of time and provide you the best Possible Value for your Money. Inspiration comes from involvement and this involvement helps us automate and deliver products and services of highest quality by interfacing with the best in technology for integrating current and future travel needs. Our range of online and offline travel services is just noteworthy. We provide one stop solution to your all travel related requirements and queries. Our mission is to provide Quality and excellence to our customers promptly and exclusively.